Kenya is crossed by Equator and features an expansive landscape consisting of Great Rift Valley, numerous water Lakes including the shared Lake Victoria, magical mountains, hills and not to forget expansive national parks and reserves where routine wildlife safaris are conducted. The northern section features national parks and many wildlife species while adjacent the Indian Ocean coastline, there are many stunning sandy beaches for you to relax and chill from, tropical islands, coral reefs a mention but a few. Besides the big game, the Great wildebeest migration from Maasai Mara National Reserve to Serengeti National Park is what attracts most tourists on African safari to this magical country. Where to go for a safari in Kenya? If you are planning for a safari in Kenya, this country features a number of national parks and reserves where tourists can pay a visit. These include among others Amboseli national park, Nairobi National Park, Lake Nakuru National Park, Nairobi National Park, Tsavo East and West National Park, Maasai Mara National Reserve which attracts most tourists who come to witness the Great Wildebeest Migration. A visa is one important travel tool you need to have for safaris in Kenya except only those from exempted countries. Get a valid visa for about 3 (three) months’ time from the date of entry. You can get one up on arrival at Jomo Kenyatta International Airport if you are in need in single entry visas or multiple entry visas. Obtaining your visa in advance is of great advantage and avoid last minute things as they come with disappointment. For those of you whose nationalities need a visa to enter Kenya whether for business, tourism or medical reasons, your visa should be 90 days valid for single entry visas and you can renew it for yet another stay at the immigration headquarters in Nairobi. Single entry visas in Kenya can be obtained at $50 while the transit visas cost $20 and $100 if you need multiple entry visas. For more details, visit the Kenyan Embassy website. Kenya is accessible both by road or air. By road-Namanga is a main border area from Kenya to Tanzania. Besides, many buses offer transportation services from Dar-es-salaam to Mombasa. If you are from Uganda, there are buses that take you passed Malaba and Busia the borders between Kenya and Uganda. From Ethiopia, Sudan and Somalia, usually their borders tend not to be safe and you must be up dated on the current situation of the area. 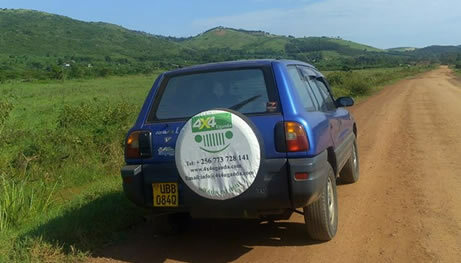 If you opt traveling by road, then a 4×4 safari vehicle can the best for those of you who want to explore this country’s stunning protected areas where most of the safaris are conducted. There is a train that operates between Nairobi and Mombasa. Alternatively, there is a ferry that operates on Lake Victoria and can take you up to Kisumu. By air, you can choose the best airline from the many airlines that take flights to Kenya most of which include Ethiopian, KLM, Emirates, Rwanda Air, Brussels, Kenya airways and many more. The international airports include the Moi International Airport in Mombasa and in Nairobi, there is Kenyatta International Airport. If you are interested in domestic flights, you can use Kenya airways, African express airways and others. 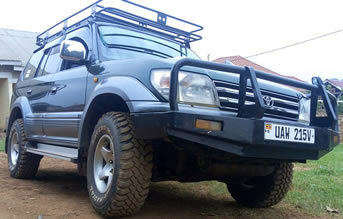 While packing, your packing list should include items like sunscreen, toiletries, camera plus extra batteries and charger, first aid kit, clothes, binoculars, travel guide map, flashlight, good shoes, hat, insect repellent, glasses and note that Kenya voltage standard ranges from 230-240 and sockets may need three square pin. Usually, how you dress may depends on how the weather will be in the course of the day. Also make sure that the weight of your luggage shouldn’t exceed 15 kilograms or even less to avoid being disappointed at the airport. When to go for Kenya safari? Kenya can be visited at any time of the year however, it has two rainy seasons with short on starting from November and the longest usually begins from March-May. The dry season on the other hand is ideal for wildlife viewing and if you are interested in witnessing the Great Wildebeest Migration then you need to visit around July to September. Once you land into Nairobi Airport, you will be required to clear at immigration and if you have a visa, then fine and for those of you who may not, you will need $50. This means that you need to have some cash with you to cater for such cases because Credit Cards or Travelers cheques may not be accepted at this point. To avoid the confusion that comes when it comes to obtaining a visa at a last minute, we advise you to secure one early enough. After you are done with everything then you will be at arrival hall where you will wait patiently if driver guide has not yet arrived to pick you but in most cases, our driver guides are always there at a right time and perhaps no need for you to spend more hours. Kenya is largely made of the youth and the ethnic groups mainly comprise of the Maasai, Kikuyu and others. English and Kiswahili are the official languages. Kenyans have for long been known for their hospitality and you will prove it when you are given that warm welcome every visitor wants while at the destination. While on safari in Kenya, tasting its local dishes is one thing you shouldn’t miss to experience its authenticity. Ugali is staple food for Kenyans and not all areas are safe for you to eat from. As well, you can visit classic safari lodges or restaurants and you will be served the best dish of your choice. Kenya shilling is a national currency but the fact that it is a tourist destination, other currencies like US dollar, British pound, Euro, Rand are equally accepted. There are so many forex bureaus that are widely distributed throughout the major towns and you can exchange your money into local currency to ease transactions. Besides, there are many banks, ATMs and MasterCard, Credit Cards, travelers’ cheques can be used. Note that Kenya isn’t 100% safe and you need to pay keen attention to which areas you want to visit and what time you want to be there. Avoid traveling at night in dark areas and remember that your safety starts with you. Where to stay while on Kenya safari? The popular and available safari lodges for your overnight stay in Kenya include Solio Lodge, Borana lodge, Mara Engai Lodge, Ol Donyo Lodge, Rusinga Island Lodge, Leopard Rock Lodge, Ark lodge and many more. Tipping isn’t a must but it is one way to appreciate someone who offered you a service and it is important to do so. You may not see what impact this may have on the person but it is of great use the fact that it will help them to meet the basic needs back at home. You can be at the hotel, lodge and the people who will be at your service will be the waiters, waitresses or tip the driver guides who will be with you throughout your road trip. They need not that much but depending on your budget, you can give between 10 to 15 dollars. Before you set off for your trip, make sure that the area you intend to visit is fine when it comes to health. However, it is important that you immunize against hepatitis A and B, Tetanus, yellow fever, meningitis, measles, influenza, typhoid and many more. And if you plan to come with anti-malarial tablets, make sure that your doctor has prescribed it for you.